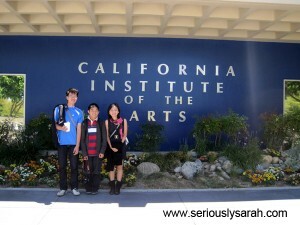 And the California Institute of the Arts! We checked out more places but well, you’ll have to check the N.E.Mation facebook wall for the photos we shared to see them as we upload! Catch you later everyone, we’re going to Disney tomorrow! Wooooh! 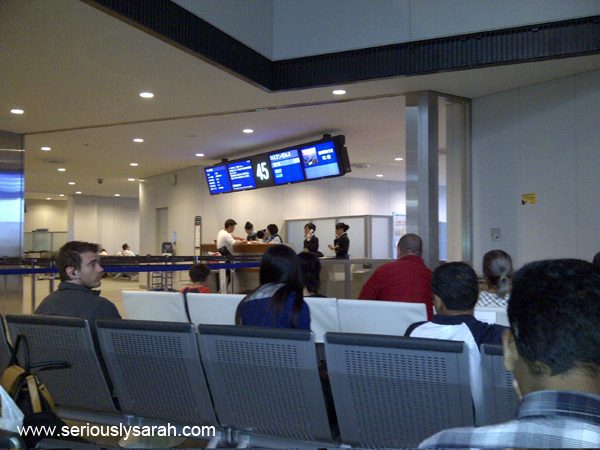 From Terminal 3 in Singapore, we travelled to Narita airport in Japan! 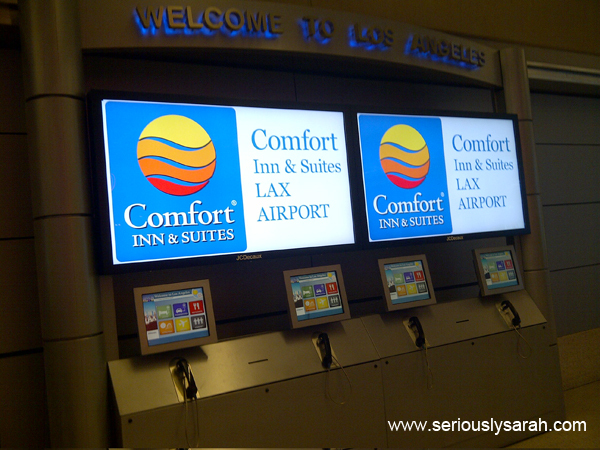 Then to Los Angeles airport! That was… wow, how many hours was that? I can’t remember, 18 hours? 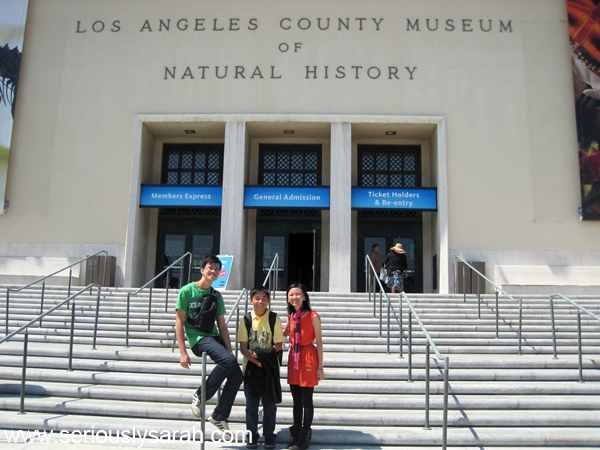 WE TRAVELLED BACK IN TIME! 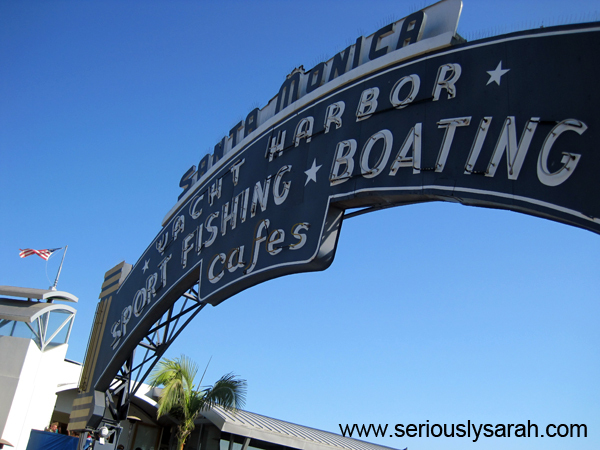 It was Saturday when we set off in Singapore and now it is Saturday here in LA! 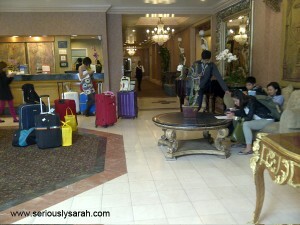 And now we’re here at the hotel! It’s 11.26pm now so goodnight! 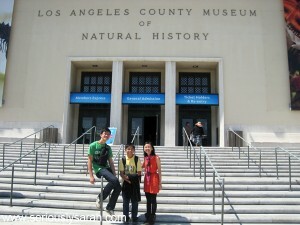 Tomorrow we’re heading off towards the museums or science centres here. This has been a short N.E.Mation post, whil I have time/wifi. See you around next post! I’ll be posting a super long one after the whole adventure! Posted on June 3, 2012 Categories N.E.mationTags adventure, competitionLeave a comment on We’re here! Posted on June 1, 2012 June 1, 2012 Categories N.E.mation, Website UpdatesTags adventureLeave a comment on I’m going AFK in the USA! 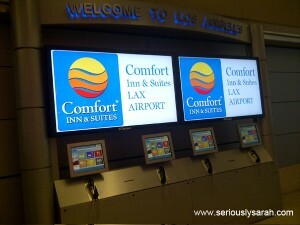 The Hunger Games… Vouchers… and Diablo 3? Like The Hunger Games? We’re holding a competition and an event at the central library! 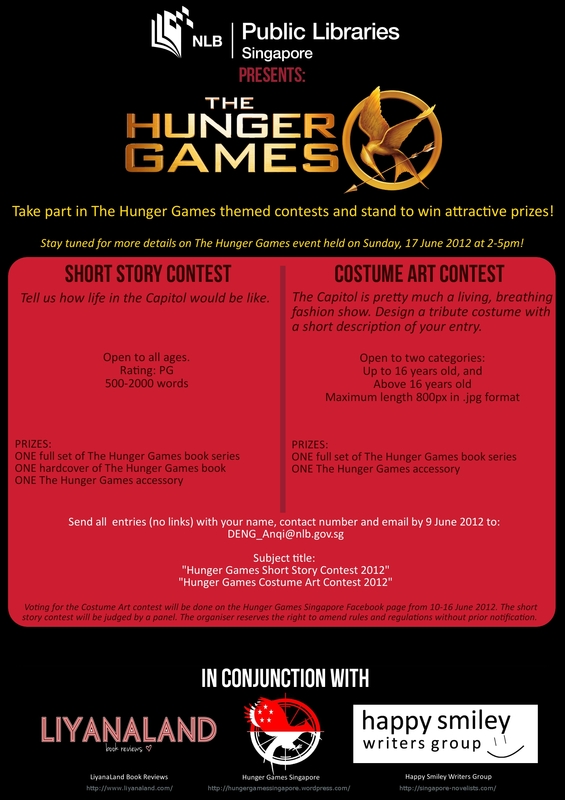 Short story contest (500-2000 words) – Tell us how life in the Capitol would be like. Open to all. Costume art contest. Two categories: Above 16 years old and under 16 years old. Design a tribute costume with a short description of your entry. 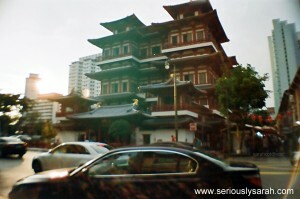 800px in jpg format. 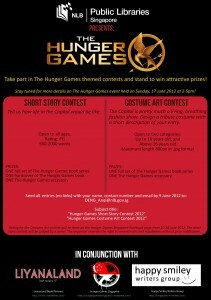 For both competitions, send it to DENG_Anqi@nlb.gov.sg with the email titled “Hunger Games Short Story Contest 2012” or “Hunger Games Costume Art Contest 2012” by 9 June. The event itself will be on 17 June from 2pm to 5pm at the central library! Yes. Feel free to dress up as the characters too. Also, do YOU want to win Book Depository vouchers up to $20? Liyanaland has a competition on her website here for more details on that. Seriously, if you like buying books especially from BD, go look at it since the competition is super simple. Continue reading The Hunger Games… Vouchers… and Diablo 3? 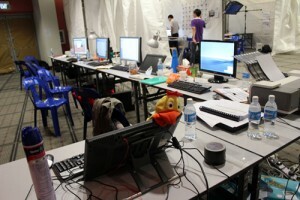 Posted on May 21, 2012 May 22, 2012 Categories Competitions, N.E.mation, The LiteraryTags adventure, competition, games, national library, singaporeLeave a comment on The Hunger Games… Vouchers… and Diablo 3? HELLO EVERYONE! It’s February and it’s back to the usual Monday weekly posts! HO HO HO. Even though it was quiet here, we’ve I’ve been up to a lot of things and events. We’ve been doing lomography and stuff since the new store opened at Chinatown area and held some workshops. Continue reading And back to you! Posted on February 27, 2012 February 27, 2012 Categories N.E.mation, Random Encounters, Website UpdatesTags AdCrew, nemation, singapore, the arts houseLeave a comment on And back to you! While Sarah is off doing things (like guest podcasting/blogging/adventuring elsewhere), here’s a song from today’s recording! It’s Marceline’s Daddy Ate My Fries song from Adventure Time. Or, check out the next post of N.E.mation here. It features… THE TOILET GAME. Hey all! 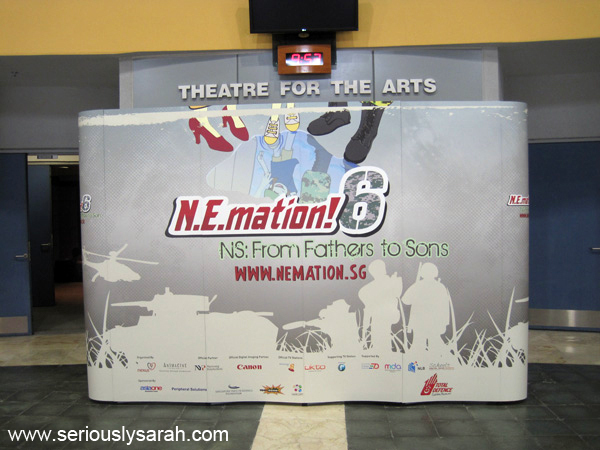 While Sarah Does Singapore is off for this season, check out my posts at N.E.Mation here! Ps. YES, I did get in top three for the N.Emation ambassador competition. Posted on December 5, 2011 December 5, 2011 Categories Competitions, N.E.mationTags animation, events, nemationLeave a comment on Meanwhile… some animation! 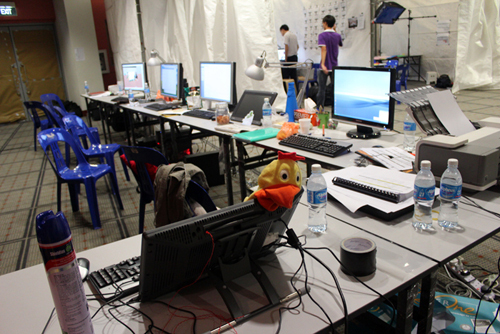 I got to sit in at the top 20 groups that were learning how to animate on the 7th September. The results of who would be in the top 10 would be on Saturday so this was just something all of them would get to at least experience. Like a taster on how animating would be like. Also, I did get to go to the results for the top 10 so click the more cut to read the rest! This is the start of N.E.mation! Well, the start of my series with the latest theme, NS: From Fathers to Sons. For this period of time, you’ll be able to see my picture on the right above Latest Topics. See that? Yeah! Vote for me, Seriously Sarah, to be the ambassador of N.E.mation (you got to like the actual page for it first). It’ll be until past November till we know who wins since during that period of time, the student groups will be doing their productions for their final animation in this competition. What’s N.E.mation? It’s a national education animation competition for students here! Don’t know what is going on? No worries since this is “day 1” of learning what it is about for 100 teams of students that managed to get into the first round.